^Like the design. I especially like how the docking ring appears to be a later addition and is incorporated very well. banthafodder wrote: ^Like the design. I especially like how the docking ring appears to be a later addition and is incorporated very well. 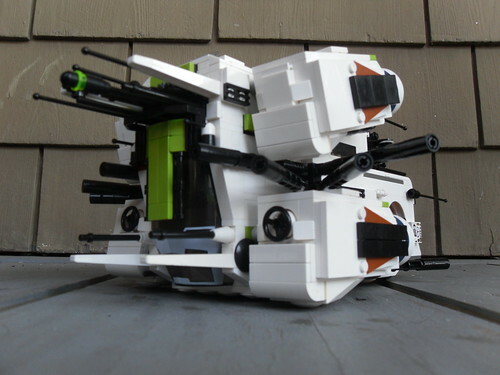 +1, really cool build, turtle! So many great entries, voting is going to be tough! 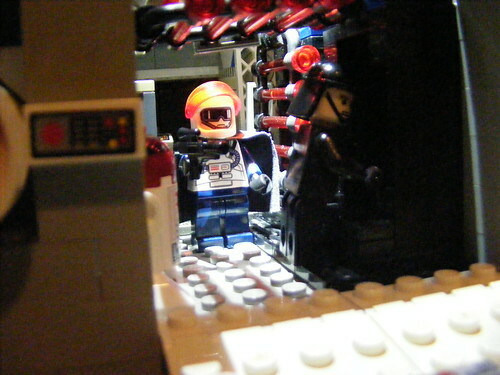 ALL HAIL THE BLACTRON EMPIRE! 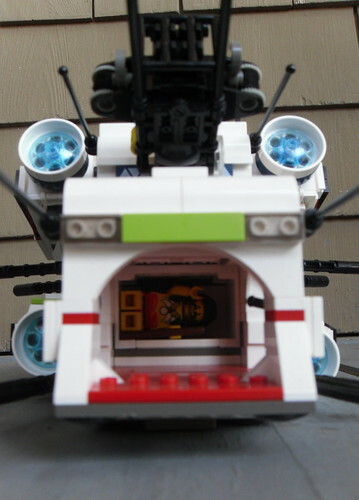 (The Prisoner Pod is dropped from a docking station under the ship, see http://www.flickr.com/photos/jansued/sets/72157624629724152/. Last edited by jansued on Mon Aug 02, 2010 4:49 am, edited 1 time in total. 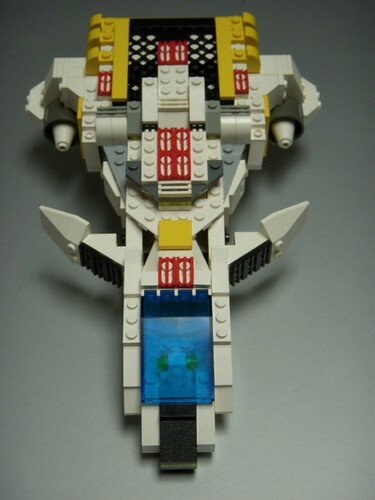 This is the King Lear IV, the retrofitted space hauler used by the bounty hunter Cam Dart. 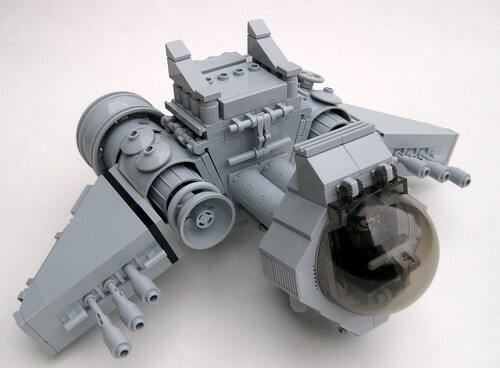 King Lears were relied on in rougher spaceports because unregistered ships that fought back when they were towed out of orbit rarely managed to pierce the armor plating . 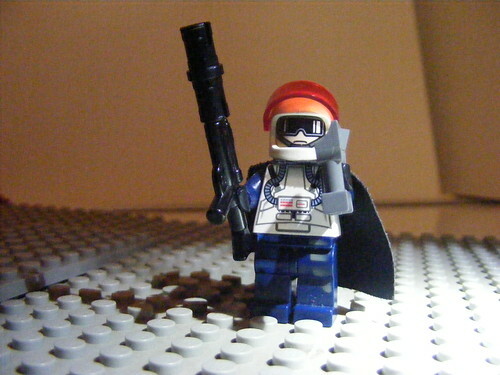 Cam Dart himself, armed only with his Mini Flux cannon. Style points! 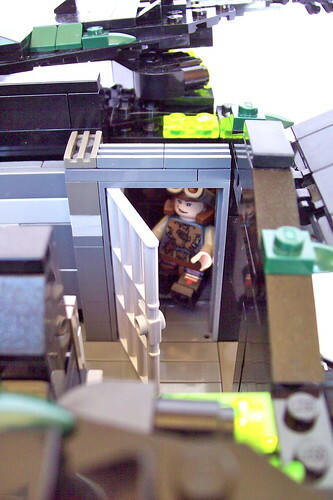 The back end has a small staging area, making prisoner capture more efficient. 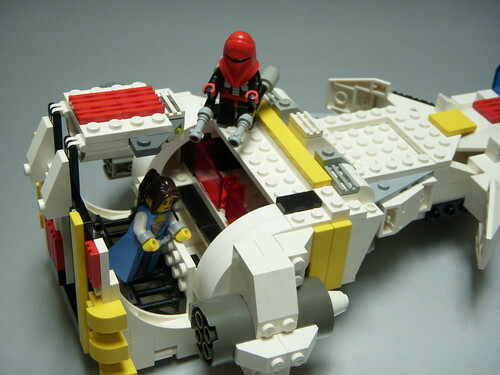 Dart also left the original hauling winch on the back, allowing him easier space captures and other criminal behavior. There are ten cannons. Hope you guys like it! Sorry about the lack of extra pictures! Last edited by mdilthey on Thu Aug 12, 2010 10:42 pm, edited 3 times in total. What part of "just your bounty hunter" is confusing? mdilthey and jansued - you both need to replace those pictures if you want to qualify. Sorry don, new picture incoming as soon as possible. 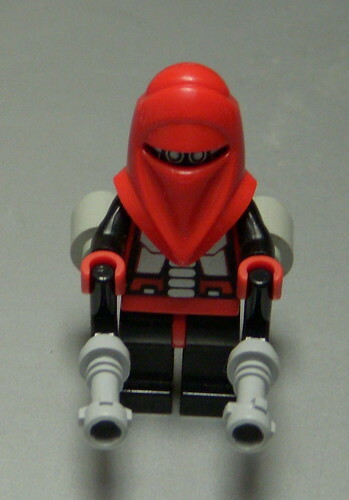 Your bounty hunter should follow minifig form: legs assembly, torso assembly, head at the minimum. 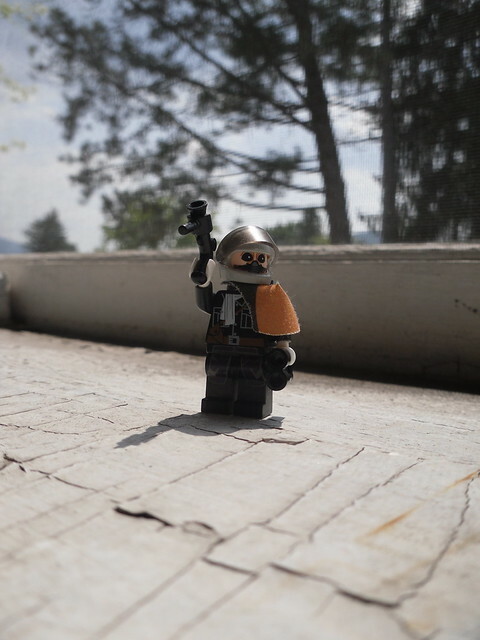 backpack, cape, helmet, hair, weapons, accessories, etc, are optional. 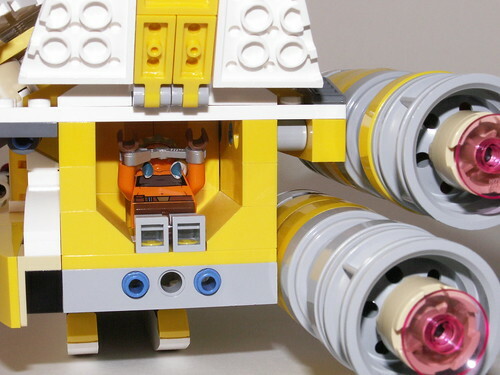 you may use droid elements for your minifig. More images to be found here. @mdilthey: you have until the end of the weekend to replace your bounty hunter pic or i'm dq'ing you from the tournament. Was out of town, sorry for the delay. new pics uploading as we speak. HAHA, i proudly present the Bounty Hunter Siroccon! The haunting stare from beneath his mask have won him more than one stare-down! HAHAHA i love this stuff! Oh, I'm in touch with my inner-child alright, its my outer-adult that I'm having a hard time with. Hey guys! Below is my entry for this sweet contest. 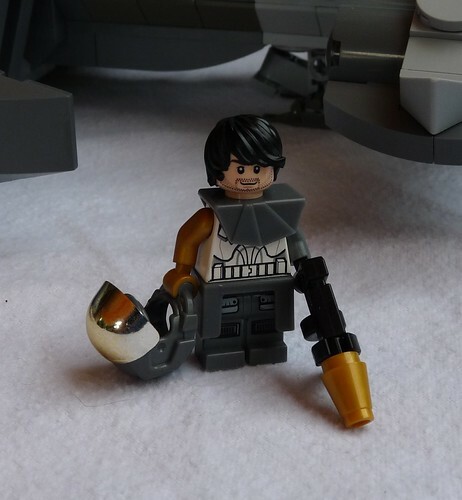 Meet Ryk Konur, former Rebel Specforce Marine turned bounty hunter, and his legendary ship, the Jade's Revenge. What makes him unique is that he will only take bounties on Imperials or scum- NO Rebels! Thanks and best wishes to everyone who enters this cool contest! 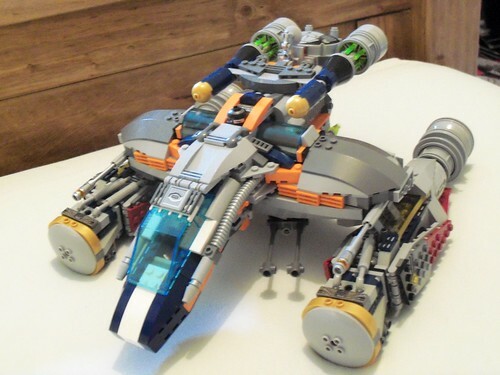 Ship: Jade Eclipse - a heavily modified Star Viper with added holding cell for bounty, extended engines as well as pivoting engines for increased thrust and maneuverability. 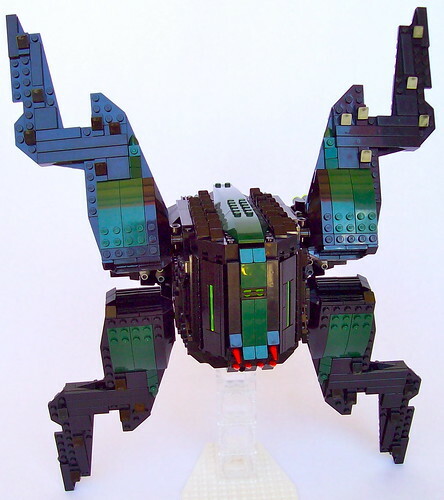 Equipped with concussion missiles and boarding harpoons. Bounty Hunter: Ice is what they call her. No one knows her real name. She has a cortosis dueling claw and a verpine shatter rifle. 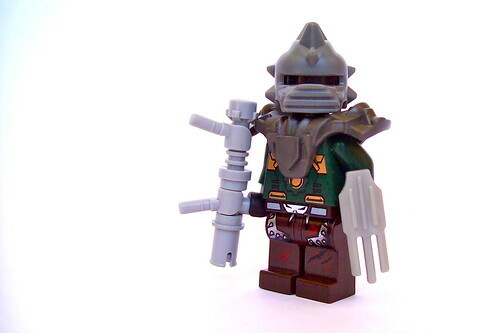 Current Bounty: Geezor Durano, usually called Sneer. He's a smuggler who works above Manaan. Good luck to everyone...this was a fun build. Thanks to FBTB! I think it's worth noting (Since I didn't pick up on it initially)- Geroblo's Skullrunner has the coolest back hatch ever. That hinge is awesome. 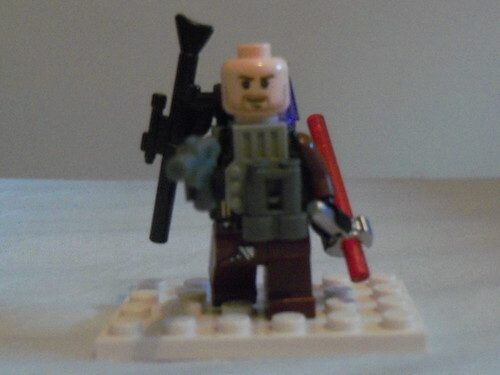 A Bounty Hunter feared throughout the galaxy, pictured here in his trademark all black outfit and dual blasters. Bounty Hunter Brin Fey'lan, owner and pilot of the Solar Flare. 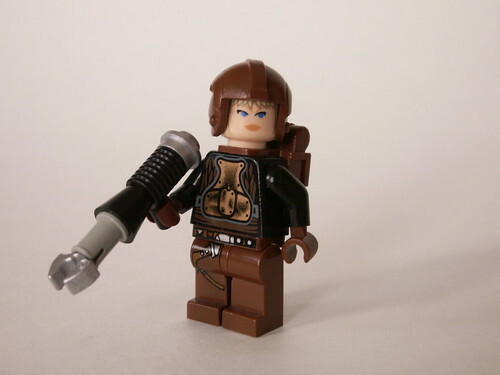 She wields a unique "Force Lightening" gun to stun - or kill - her bounty for capture ("Don't tase me, bro!"). 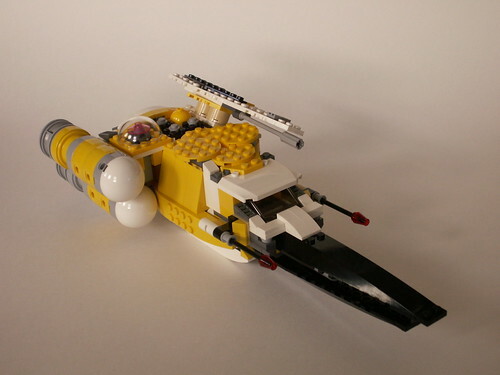 Her ship, the Solar Flare, is cobbled together from a variety of parts, most notably a pair of modified Clone Wars-era Y-wing engines. And finally, her bounty, held in the rear of the ship. You can check out more photos of the Solar Flare by clicking here. I am never asleep, and I make you whole. Location: Trapped inside a skull, yearning to be free! 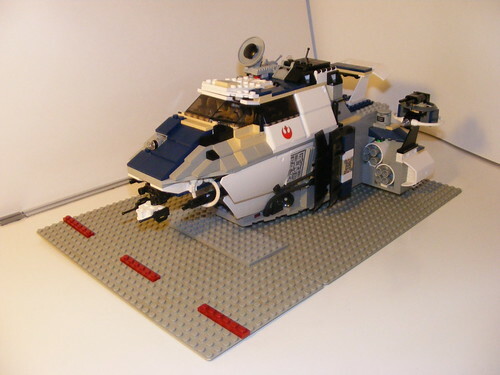 My entry to the 2010 MOC Madness building tournament. 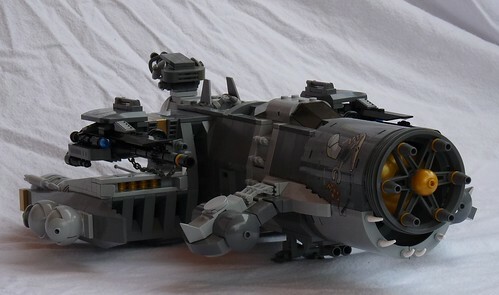 Bounty Hunter Ninx Vodoya operates the modified freighter "Sturmendrang"
All thanks to the FBTB staff for this cool little contest! 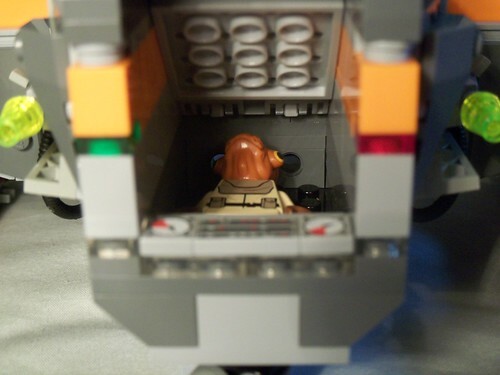 I pulled that helmet from the 6208 B-wing Fighter Set, courtesy of Ten Nunb.